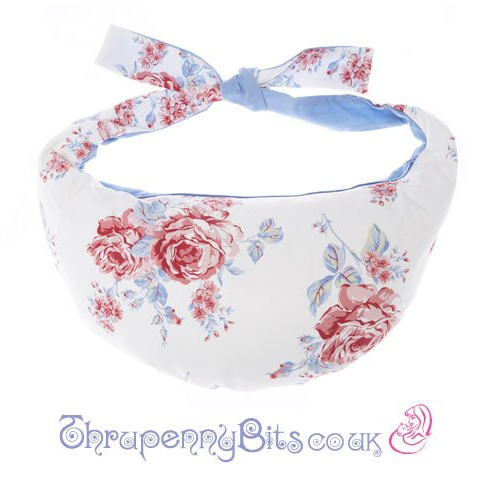 This breastfeeding pillow uses a hardwearing and designer classic blue floral fabric on one side and a soft baby blue needle corduroy on the other. 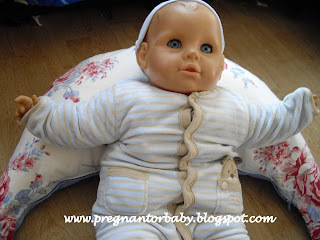 It has an inner sack filled with polystyrene fire retardant beads and measures 65cms across and 38cms down. 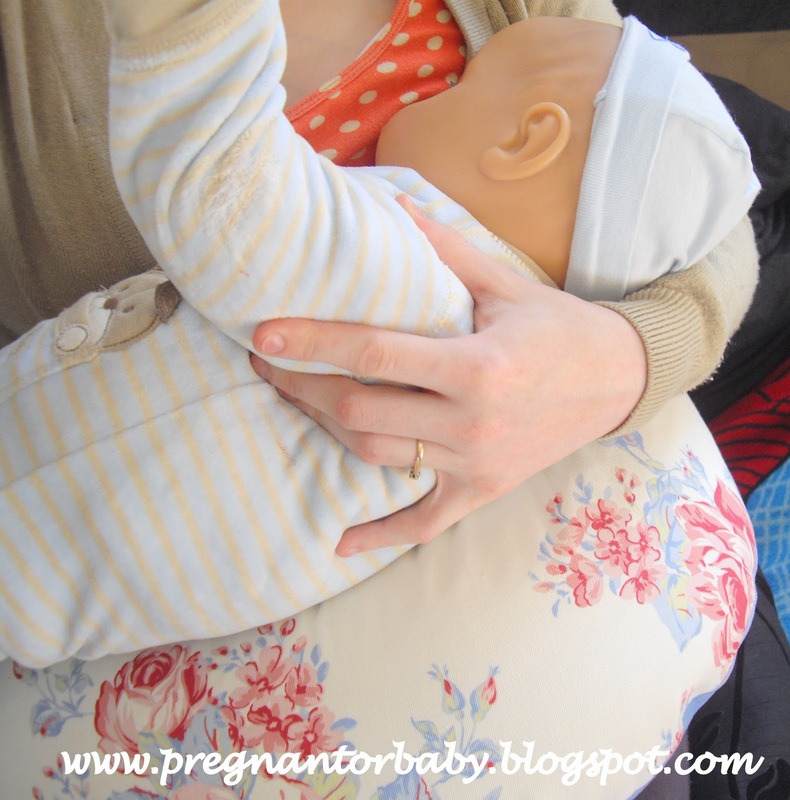 The Ultimate range breastfeeding pillows are the biggest so potentially can be used longer for breastfeeding and convert to a better toddler bag because of the size and the fact that they have inner pockets. They measure 65 cms across and 32 cms down. 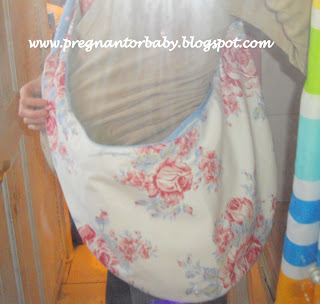 If your baby is a beautiful big bouncing baby (i.e. large!) you're better off going for this size cushion. 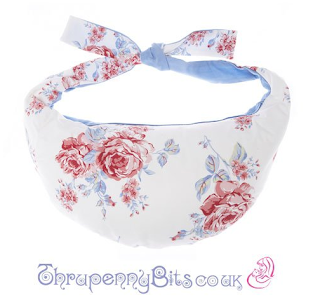 Thrupenny developed this particular range to be luxurious AND functional using indulgent and high end fabrics, which is why these breastfeeding pillows are called the Ultimate range. All outer bags are individually hand-made and limited edition, so designs may be updated regularly to keep up with current trends. There's a firm inner crescent shaped bean bag filled with polystyrene fire retardant beads. This pillow can be used for breast feeding or bottle feeding, tie the straps around your waist behind you first, sit down with the cushion on your lap and place baby on top facing you, this will rise up the baby to the correct position for feeding and leave at least one arm free. This cushion is the perfect shape to fit around your baby when he or she needs a little more elevation and then eventually starts sitting on the floor and needs a little security, Melissa from Thrupenny says she used to lie her baby with his head on the top of the cushion and toe the straps over his waist, this gave him a little elevation and prevented him from rolling over. 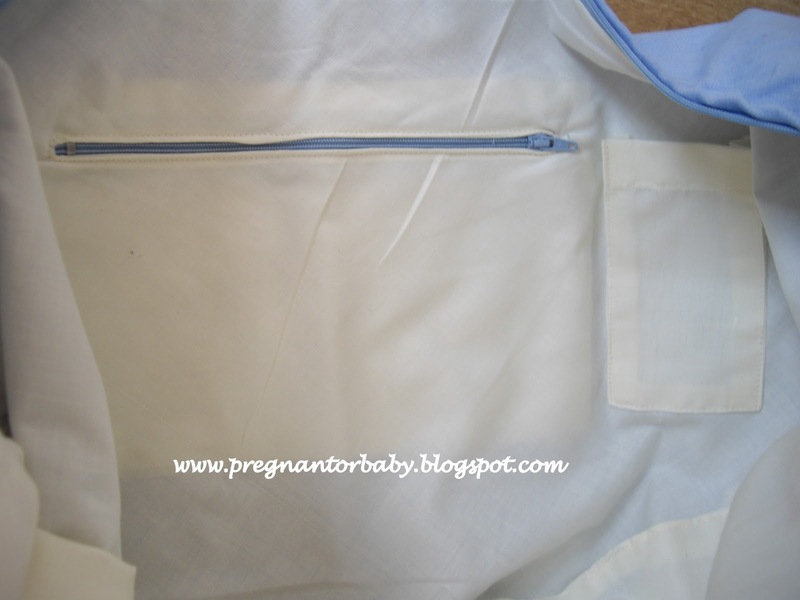 When you have finished bottle/breastfeeding your child and you have no use for the pillow, you can remove the inner sack to product a lovely big bag that you can use, it even has an inner zip pocket and phone holder in!! 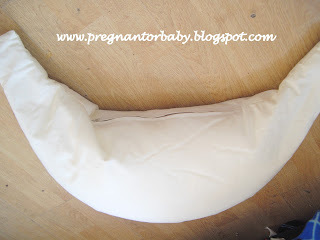 I love that the pillow is quite high, Melissa says she overly stuffs them so if you need them lower just squash them a little with the heel of your foot, for me though I seen this as a plus as I am quite tall and I find most pillows quite low. 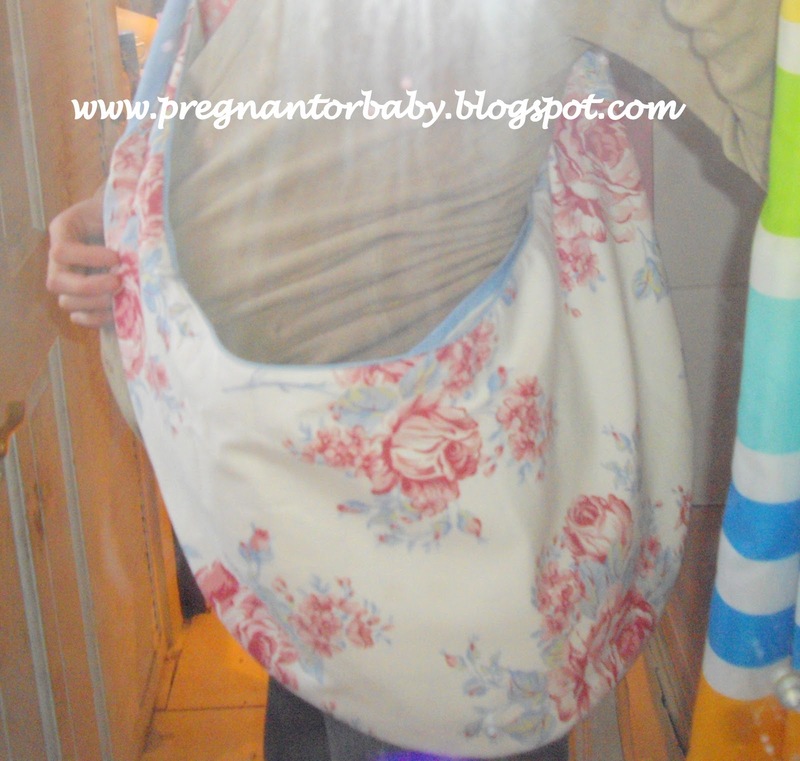 I love how versatile the bag is the fact that it can be used as a feeding pillow as a sitting aid and a bag means this pillow helps throughout the stages of your babies growth. The price of this product I feel is reasonable especially as how adaptable it is, I am really looking forward to using this for feeding baby 2 and obviously in my hopeful quest to be a breastfeeding mummy! 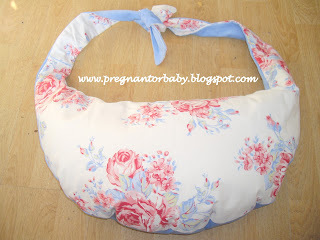 I think the design of the piece is lovely, very stylish and also quite unisex... although we know baby 2 is a baby boy, I love that I think his feeding pillow is so pretty!